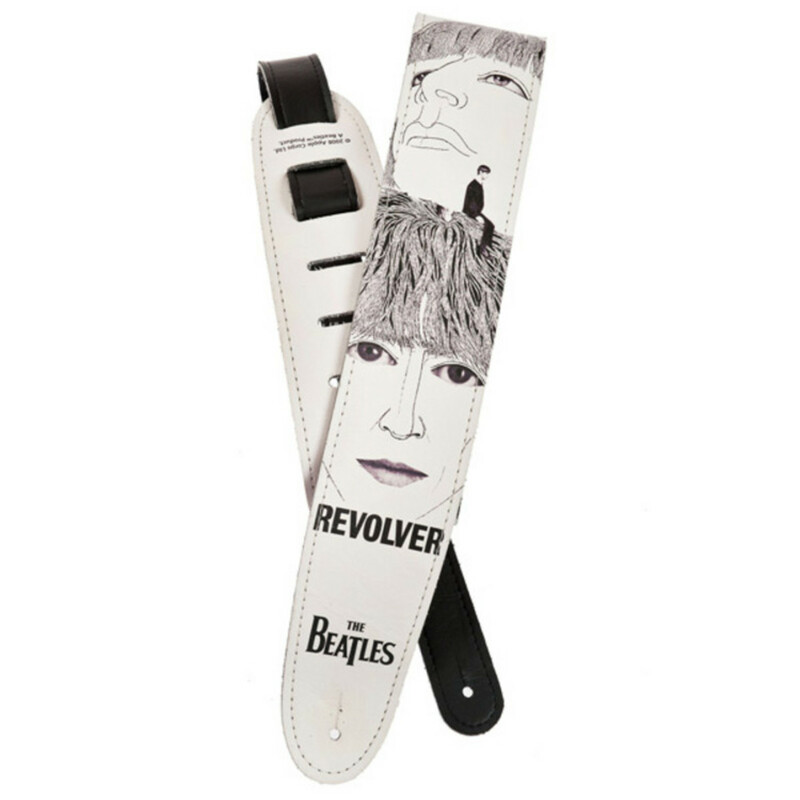 Classic artwork from the 1966 "Revolver" album flawlessly printed across the entire strap length make this the perfect addition to the Planet Waves Beatles strap collection. From Love Me Do to Revolution, the Beatles were arguably the most creative, diverse and influential band in pop music history. Planet Waves honours the Beatles' legacy with a unique collection of guitar straps, featuring iconic album covers and timeless images which capture the enduring spirit and essence of the "Fab Four". The strap artwork spans the Beatles entire career and all the straps are vegan friendly. Planet Waves is a part of the D'Addario and Co. family of brands, the global leader in musical accessories.